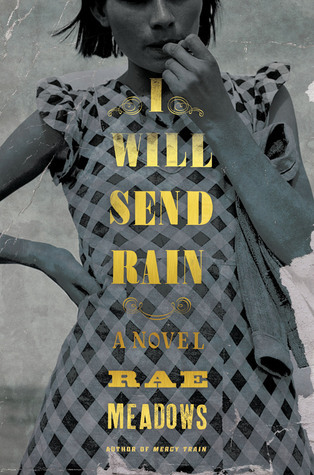 Rae Meadows is the author of Calling Out, which received the 2006 Utah Book Award for fiction, No One Tells Everything, a Poets & Writers Notable Novel, and most recently the widely praised novel, Mercy Train (in hardcover as Mothers and Daughters). Her fourth novel, I Will Send Rain, is forthcoming August 2016 from Henry Holt. She lives with her family in Brooklyn, New York. I cannot wait to read this one. Was refused approval for ARC, but will definitely be getting it to read. Great review as ever...so envious you got a copy to preview.